Again, proof that the nail community has some of the nicest people around in it. 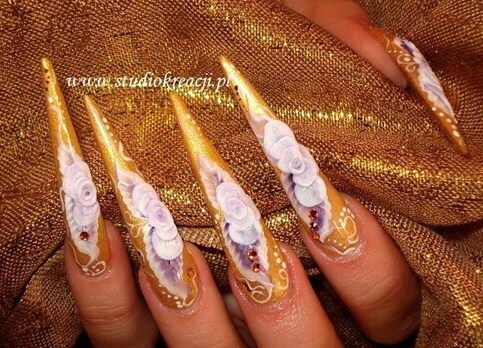 Paulina Pastuszak is the 2010 Munich World Champion in Nail Art - and was happy to agree to let me blog about her work. Even more cool? She's now my friend on Facebook :) You know you're in an amazing industry when a World Champion is happy to befriend new techs! 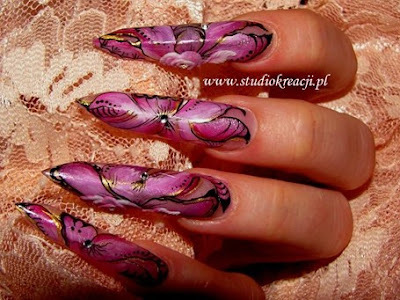 So please, check out her Nail Art Gallery and her webpage. Enjoy the following pictures of her work - sorry its such a picture-heavy post, but I had a hard time narrowing down which photos to use. They're all just so fantastic! As always, don't forget to enter my give away for a chance to win LCN Halloween nail polishes and 4 other surprise items!